Nobody gets off this rock. 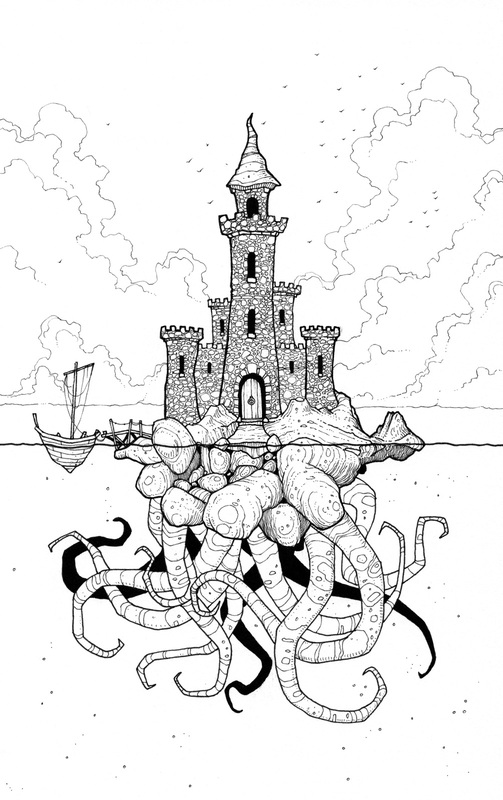 A recent commission for someone that likes castles, and tentacles! Ah – imagination is a wonderful thing.